Japan is a land of vending machines. You can find vending machines on just about any street corner in cities. 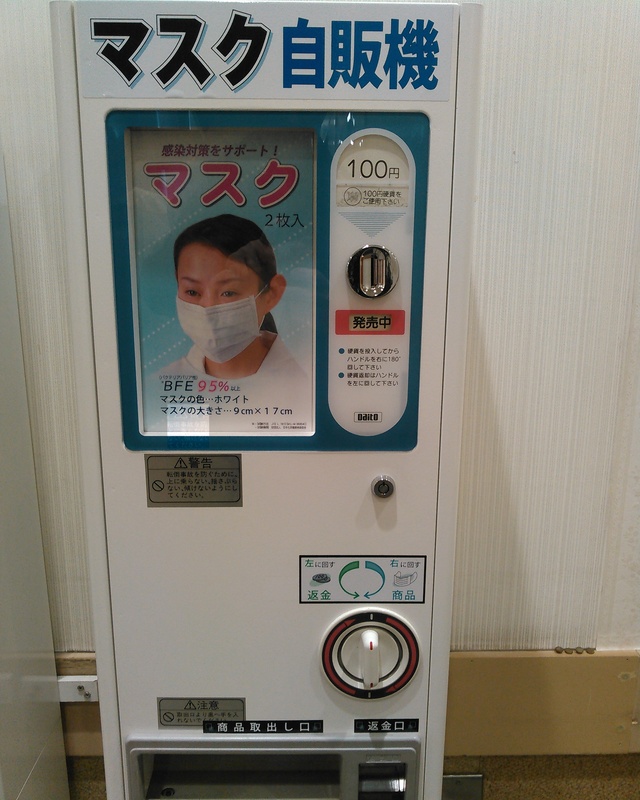 They mainly sell beverages, but the ubiquitous machines also sell a vast array of other items, including gifts, toys, fresh eggs, rice, birth control, cigarettes, beer, costumes and even surgical masks, as shown here.